The trust would like to raise funds to purchase or long term lease with the option to buy, some land and start to create a living museum to celebrate and educate on Ashford's railway heritage. We would like to firstly obtain land, so we can have a home to place donated items, too large for the part of the little Ashford museum, together with old engines that have been offered in the past. From this, we plan to utilise the land to raise funds through various ways to boost trust funds. using volunteer labour, we would landscape the area, to provide a wildlife area for public to visit for walks, whilst slowly increasing our railway collection. This is planned to start with some temporary buildings to house photos and small artefacts, whilst a Dutch style barn placed over a length of track to assist in working on our first train engine. With the development of the area, many green areas are beginning to be threatened for new housing. The other aspects, will include the laying of some railway track, to allow the museum exhibits to move out of the buildings on a short circuit (at a later date), and the woodland would therefore provide an excellent filming location for films of photos, for added interest and revenue. 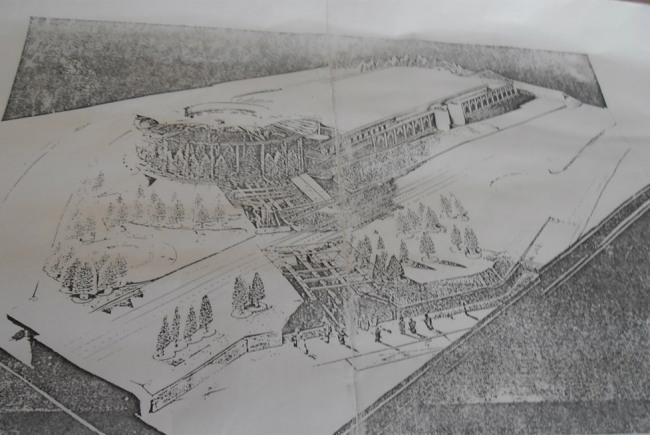 The museum would eventually provide an interesting attraction for the town, whilst the park an asset to the town. The town needs a visitor attraction, and preferably one that can sustain itself rather than rely on funding. Beside the wooded park, would be a large museum and conference / educational building, together with a large engineering shed. I'm Andrew, known as Andy, and I am the Chairman of the recently formed, Ashford Railway Heritage Trust. Our trust has been created to bring a full railway museum to Ashford, to celebrate and educate future generations about the railway and how important it was to the people of Ashford and the growth of Ashford whilst celebrating the people and lives that the railway affected.